Brazil midfielder Fred says he is excited by the prospect of working under Jose Mourinho after completing his £47m move to Manchester United from Shakhtar Donetsk. The 25-year-old has put pen to paper on a five-year deal at Old Trafford and will join up with the Red Devils after the World Cup 2018 in Russia. Fred follows in the footsteps of Portuguese full-back Diogo Dalot in becoming Mourinho's second signing of the summer. 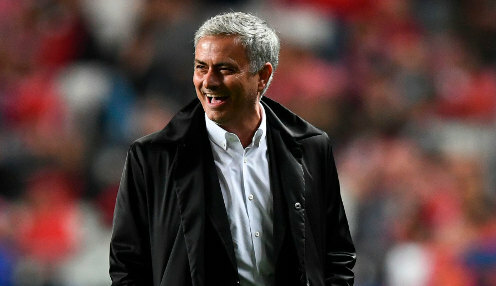 The Brazilian star has revealed his delight at securing the move to the Premier League giants and is relishing the prospect of working under Mourinho. Meanwhile the United boss himself believes Fred is an excellent acquisition and will fit in well with the setup at Old Trafford. Mourinho added: "Fred will complement our other midfielders' qualities, which we need; his creative brain and passing vision will give us another dimension to our game." United are 12121/1 to win the Premier League next season, while Manchester City are 8/11 to retain the title.